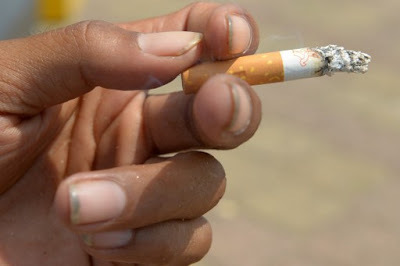 Tobacco epidemic is one of the biggest public health threats the world has ever faced, killing more than seven (7) million people yearly, the World Health Organisation (WHO) has stated. WHO also declared that about 146,000 adults aged 30 years and above die every year from tobacco related diseases. The global health body made the disclosure on the occasion of the celebration of World No tobacco day. 31st May of every year has been declared as world No Tobacco Day to the dangers associated with using tobacco, and to press for policies to reduce tobacco use. This year’s theme: “Tobacco and heart disease,” focuses on tobacco use as a key risk factor for developing heart and related diseases, including stroke. In his message to mark the occasion, WHO Regional Director, Dr. Matshidiso Moeti called for increased efforts to further raise awareness about the harmful effects of tobacco use. According to him, “the tobacco epidemic is one of the biggest public health threats the world has ever faced, killing more than 7 million people each year. Tobacco breaks hearts. Tobacco use and exposure to second-hand smoke contribute to about 12% of all heart disease deaths. There is no safe level for people, particularly children, women and workers, who have to be in the same room as smokers.